Preheat oven to 450. Lay tortillas out on baking sheet, brush with oil and sprinkle with salt. 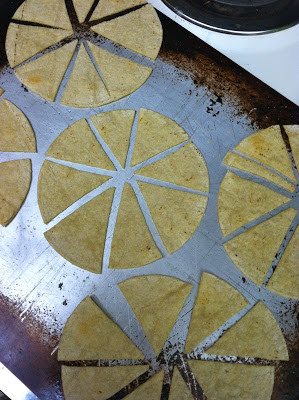 Flip and repeat on the other side. 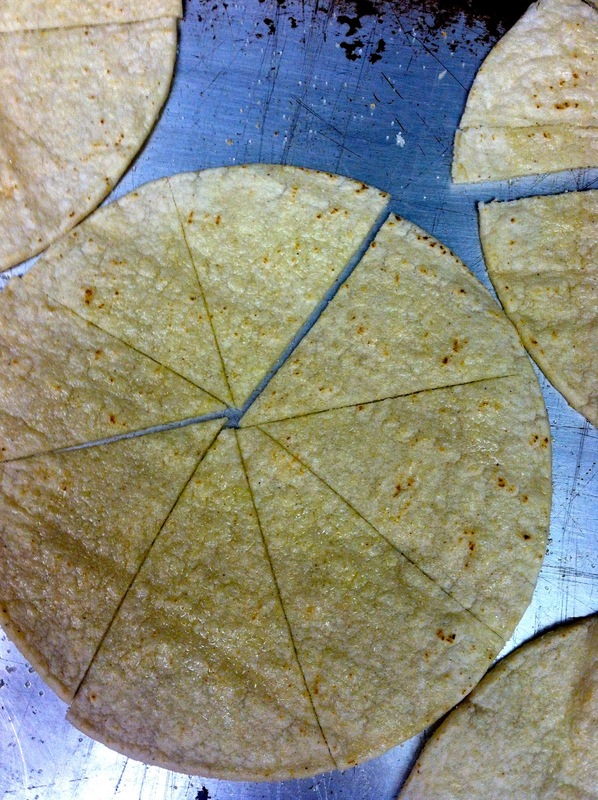 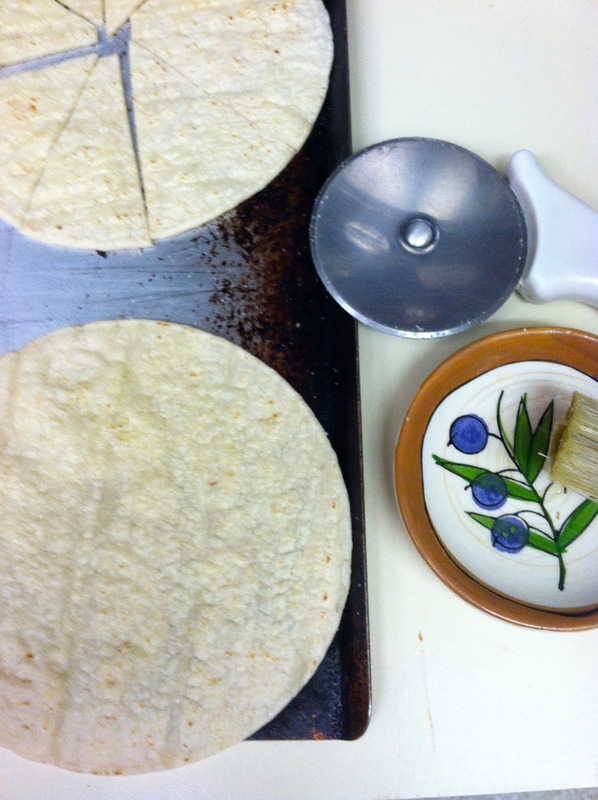 With a pizza cutter cut each tortilla into desired size (we do 8ths). 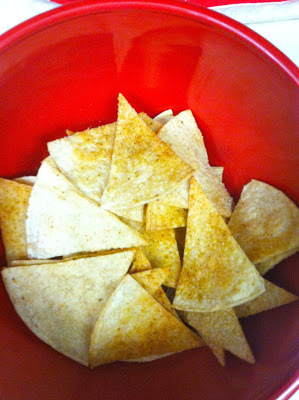 Bake for 4-5 mins, take out of the oven and flip, bake on the other side another 4 mins... cool and ENJOY! I painted this last year, and was pretty excited to add it to our Christmas decor. 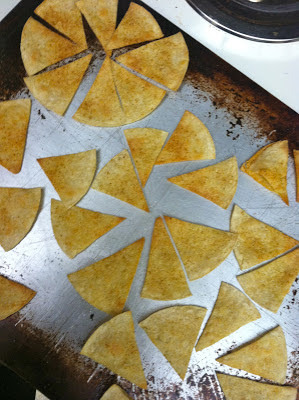 I pinned the tortilla chip idea for later--thanks! 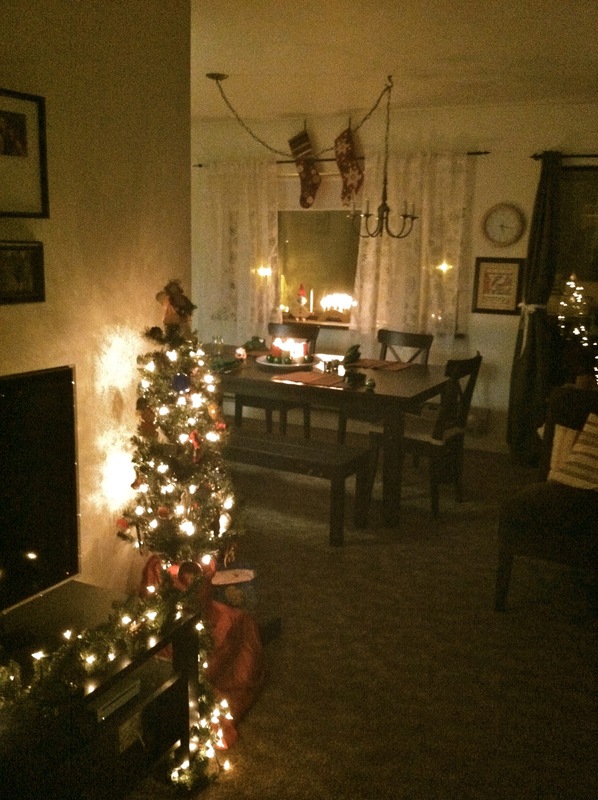 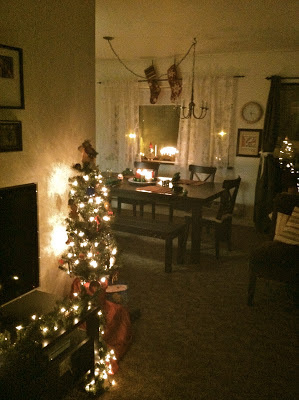 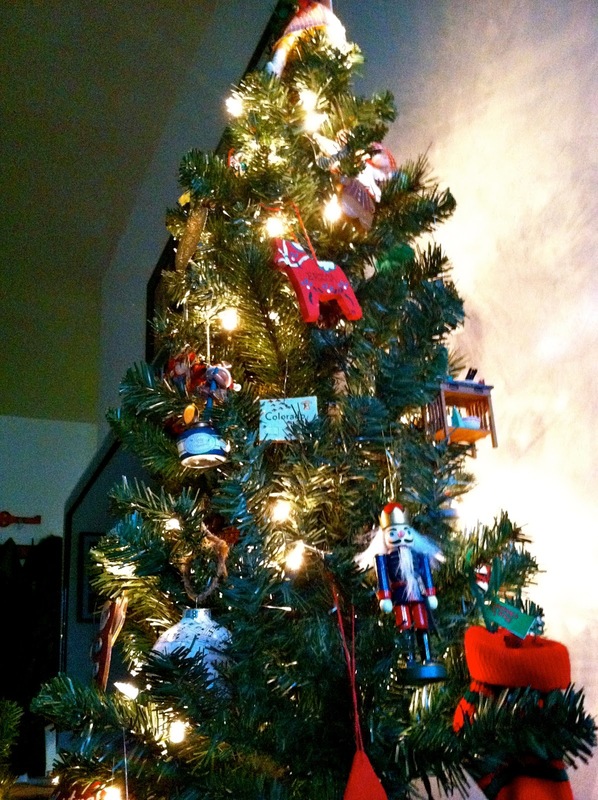 your home looks so cozy, and your sweet God Jul painting is perfect.